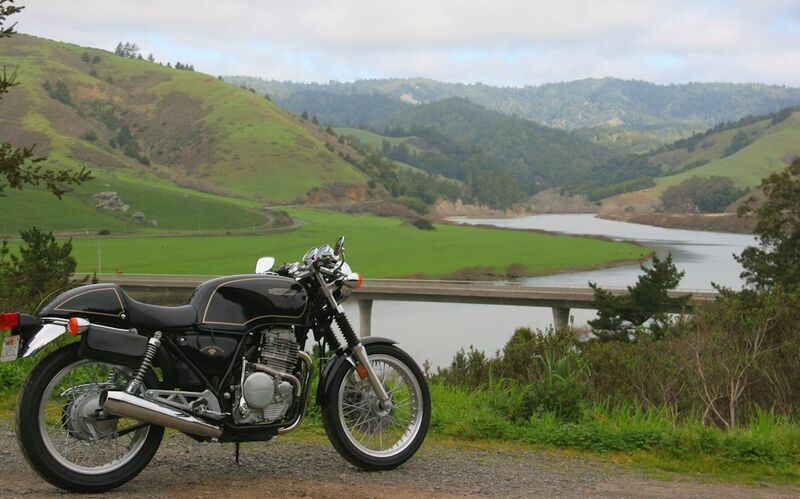 I noticed on those gorgeous scenery photos you show of the CB1, there's also a photo a GB500. I sold a GB500 to someone in SanFran about 10 years ago. It came out of SouthFlorida. By chance it wouldn't have been you?....would it have been? That GB was my uncles and I helped him sell it to the west coast when I was living in the South East (FL) region. Should this advertising even be on here? This is not CB1 related. Did this CB1 get sold? Just some food for thought so you can sell your CB1 better. 1) Clean the damn thing!...anyone expecting to pay $4200 that bike better be immaculate. 2) it better not have a ding nor dent anywhere. 3) take better pictures. Marketing is everything in an online sale/purchase. 4) You'll need to be flexible at that price. This one appears to be in the $2800 to $3000 range...assuming ALL works exactly as it should. 5) at $4200, that bike better come with ALL its maintenance records from the day it was ridden out of the showroom. 6) If you truly want to sell it, this one, it'll have to be "priced" better. Again, not trying to shut yer manhood down, just sayin'. I think all of us here have been watching this niche market go up and down and up and down throughout the years.....and well, just some constructive criticism is all............I'm assuming the $4200 price tag cause............you've told yer mrs that you will sell it.............but really don't want to....and that's fine too. it looks like an "ok" Mkii...but dunno. transport and all it'll run up there in the $3500 range....ugh. too pricey and too much of a risk. Agreed....remember everything is expensive in CanuckLand. Wow... listing shows 72000 miles. I paid $3300 for mine, and it only had 4000 miles. Looking forward to seeing this thread when done. I'm diggin' the nifty mods. shame us from across the pond (well some of us) can't seem to understand how wonderful a 400 in-line 4 with gear driven cams actually are. Sad, if it's not a 1200cc or above and loses pieces along the way due to too much rattle its not considered worthy. So sad. the gas tank? what condition is it in? that little tail bag looks great. yes, you lose the passenger seat but who cares, the CB1 isn't really meant to hold two 180lb Americans.....so you're good to go! Looks clean, nice and tucked up against yer booty when riding. Nice job. I'm sure it even feels a bit like you have a backrest of sorts.....nice work. Looks like it'll do the job. show us a pic of it when you get the CB1 and put the bag on her. don't get me wrong Spurlock. I'm jealous. You have a nice shoppe'! PHAK Spurlock....sheesh. Ya think ya got enough? Interesting. About 10 years ago I sold a GB500 to a fellow in NorCal? HUmm...I wonder. I was livin in SFlorida at the time. My uncle, in his 80s, was shedding his heard and sold me his Yamaha R1 1998 and I helped him sell his GB500 to a fellow in NorCal? How long have you had that GB500? My uncles had a vapor lock issue and he never sorted it. Just wondering. I haven't seen many GB500's round. Welcome to the CB1 group. Post up picks of your newly added steed to the heard. Hey guys, just wanted to introduce myself. I just bought a very nice CB-1, taking delivery in a couple of weeks. My interest in Hondas and motorcycles in general started in the early 1960's with my first bike, a 50cc C110. 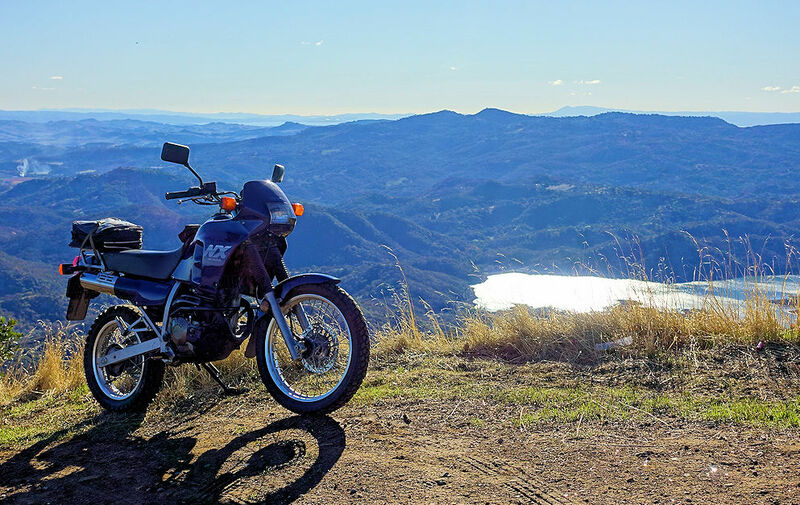 I wrenched at three Honda dealerships between 1965 and 1980, then was totally away from motorcycles until a few years ago when I got the bug again. 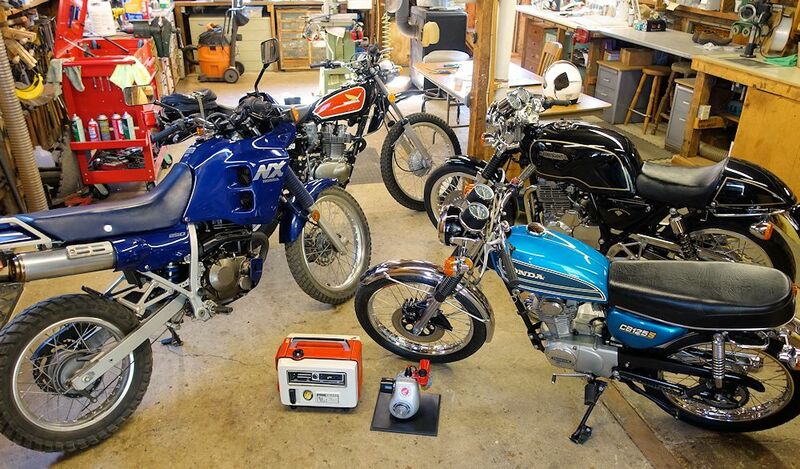 Now retired, I've bought and restored a small collection of Hondas and the CB-1 is my latest addition. It is my third 1989 model, joining a GB500 and NX250. I look forward to participating here once I get the bike. In the meantime I have enjoyed learning more about the bike here on this forum. I love all my bikes for their unique personalities, and fully expect the CB-1 will add a fun new flavor to my twisty road riding here in northern California. Here are a couple of shots of the GB and NX in their natural habitat.